Dozens of students from the University of Illinois Springfield spent their Friday afternoon volunteering with three local community groups as part of the annual Welcome Week Service-A-Thon. “It’s important to get students involved at the beginning of the year, so they know the types of things they can do,” said Brittany Elder, AmeriCorps VISTA for the UIS Volunteer and Civic Engagement Center. Students sorted medical supplies at Hospital Sisters Mission Outreach, picked up trash along the Springfield Park District’s Wabash Trail and helped pick up and sort bricks at the site of the next Habitat for Humanity of Sangamon County home. “I feel like it’s a really good way to meet people and get involved in the community. Service is part of the reason I picked UIS,” said Brittany Sievers, a sophomore Psychology major. Sievers realizes the benefits of volunteering, which include forming lasting relationships with fellow students and employers, which can lead to jobs and internships. Beyond that, she says volunteering just makes her feel good inside. “(Volunteering) helps you understand that you’re not the only one affected by things and it forces you to get a larger view on life,” said Sievers. Senior Political Science major Robert Dixon volunteered to help out at the Habitat for Humanity site. He spent most of the afternoon breaking up loose concrete in the front yard of where a new home will soon sit. “It’s morally one of the right things to do to assist individuals, to help other individuals that may not be as fortunate,” said Dixon. Sophomore Nathan Schmidt is part of a student organization on campus, which spends time volunteering. “Kind of a nice chance of pace from being a Computer Science major and being behind a desk and at a computer all the time and it really feels good to give back a little bit,” said Schmidt. For more information about volunteer opportunities at UIS, visit the Volunteer and Civic Engagement Center website. Students, faculty and staff got a chance to shake hands with the new leader of the University of Illinois Springfield during the annual Chancellor’s Picnic. The picnic was held on August 23, 2011 on the quad. For Chancellor Susan J. Koch, it was the first time hosting the annual event. She served food, mingled with members of the UIS community and listened to ideas. The free hotdogs, brats, hamburgers, veggie burgers, watermelon, coleslaw and other sweet treats attract many to the event, but it’s also about conversation. The picnic helps add to the excitement of the beginning of a new semester, which for some, like freshmen Alex Fruth, can be a little scary. For Chancellor Koch the picnic brings back memories and she hopes events, such as the picnic, live on the in the minds of students forever. “As a child, my father was a faculty member. Many, many years ago there was a picnic at his school and I can remember as a 5-year-old sitting on the president’s lap,” said Koch. Nearly 700 people showed up for the event. The celebration was part of Welcome Week 2011, which includes a variety of events designed to get students involved. The University of Illinois Springfield has been named a runner-up in the category of "Most Open" online initiative by Education-Portal.com People's Choice Awards for its use of Open Course Ware (OCW) during a recent revolutionary and free online course. The Massive Open Online Course (MOOC), conducted by the UIS Center for Online Learning, Research and Service drew more than 2,600 participants from over 70 countries. 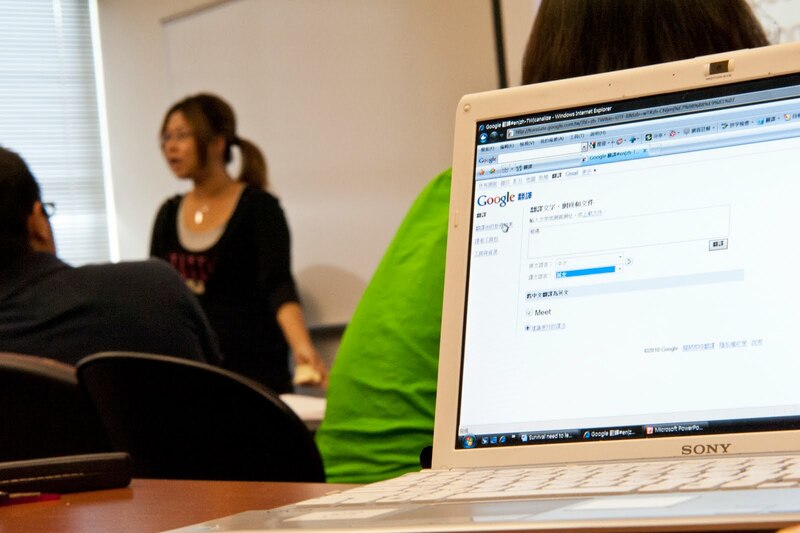 The 8-week course, which focused on “Online Learning Today...and Tomorrow”, started in June and finished on August 19, 2011. Winning the “Most Open” award was College Open Textbooks, a William and Flora Hewlett Foundation funded initiative, which provides free online textbooks to students and professors. The University of California – Irvine won the other runner-up award for its efforts in the OCW movement. No academic or continuing education credit was awarded as part of the MOOC at UIS, but the materials offered during the course will remain online for free use. The materials may be accessed at: http://sites.google.com/site/edumooc. The Admissions Office at the University of Illinois Springfield has finalized transfer articulation agreements with four community colleges in Illinois. The new agreements are with Illinois Valley Community College (Oglesby, Ill.), Lake Land College (Mattoon, Ill.), Parkland College (Champaign, Ill.), and Southwestern Illinois College (Belleville, Ill.). The partnership will make it easier for students enrolled in Accountancy, Business Administration, Economics, Management, and Management Information Systems programs to transfer to UIS. “These agreements serve as an effective ‘road map’ for the students who want to earn their undergraduate degree in a timely manner,” said Raymond Barnett, UIS transfer coordinator. The 2+2 agreement establishes a seamless transfer for students from the Associates of Arts (or Sciences) degrees at community colleges into the undergraduate programs at UIS and allows them to finish their bachelor’s degree. As a part of the agreements, each school worked out with UIS a 2+2 advising guide to assist students when choosing their classes. The guide, along with materials for other community colleges, can be found at www.uis.edu/admissions. The partnership was made possible thanks to the leadership of Dyanne Ferk, Helene Bea, and the department chairs in the UIS College of Business and Management who played an important role in all the phases of the articulation. “The College of Business and Management has been of great value at networking with the faculty of SWIC, LLC, IVCC, and Parkland in making this ‘road map’ one that will lead the student to a successful realization of their goal,” said Barnett. The agreements come at the same time UIS continues to build its outreach and partnerships to serve all areas of Illinois; from the Illinois River Valley, to Eastern Illinois, and the Metro-East region. UIS currently has transfer agreements with Harper College, Heartland Community College, Illinois Central College, Lewis and Clark Community, Lincoln Land Community College, Richland Community College and Rock Valley College for a number of degree programs. For a full list of 2+2 transfer agreements visit: www.uis.edu/admissions/transfer/2+2/index.html. For more information and questions about 2+2 agreements, contact Raymond Barnett at 217/206-6628 or email rbarn2@uis.edu. The National Science Foundation has awarded John Martin, assistant professor of Astronomy/Physics at the University of Illinois Springfield a $62,096 grant over three years to study supernova imposters and the end stages of the most massive stars. Part of the research will take place at the UIS Henry R. Barber Research Observatory, located west of Springfield and will involve undergraduate students. 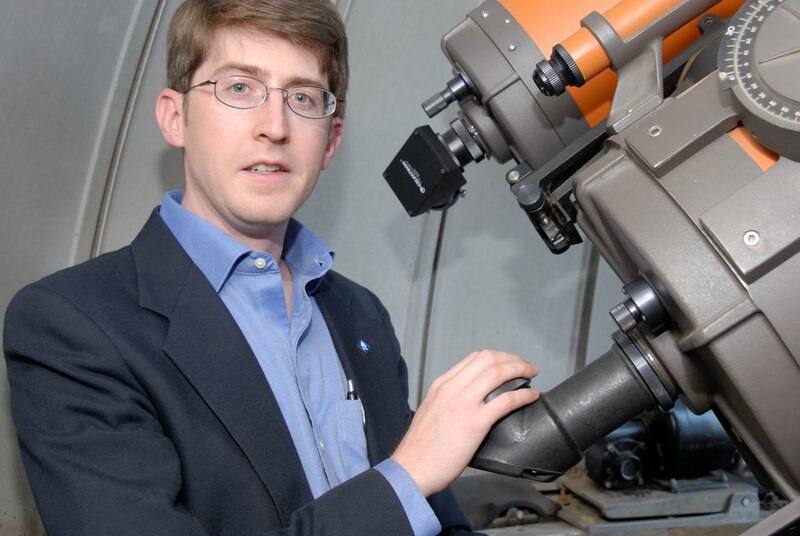 Professor Martin will collaborate with researchers at the University of Minnesota to observe and model the stages of some of the most massive stars in the universe. The star Eta Carinae is an example of a supernova imposter in our own galaxy. In the 1840s, Eta Carinae had a great eruption making it one of the brightest stars in the nighttime sky for almost a decade. More recently, searches for supernovae in other galaxies have turned up supernova imposter candidates that behave in a similar way, leading astronomers to wonder if this is a common stage for massive stars on their way to becoming true supernovae. Massive stars are often hundreds of times larger than our own sun and produce such extreme pressures and temperatures that they manufacture all of the elements heavier than helium in the universe. The atoms manufactured in supernova are necessary for the formation of planets and origin life on Earth. The National Science Foundation grant is being matched with funds from community donations, which will allow for the purchase of new equipment at the Barber Observatory to monitor massive stars in neighboring galaxies. The grant also includes funds to support undergraduate student research and the development of educational tools to help teach about supernova imposters. 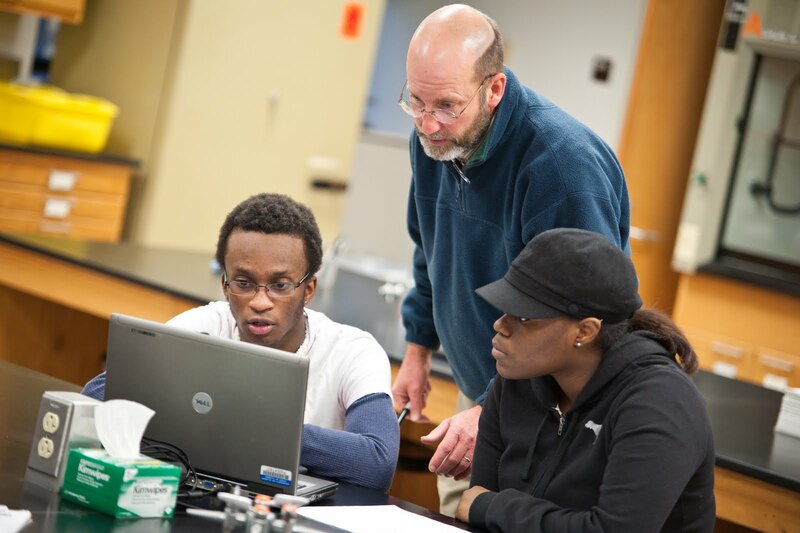 For those interested in studying astronomy, UIS offers several introductory general education astronomy classes designed to teach students the fundamentals of science and foster interest in the stars. Upper-division astronomy courses are also offered for more advanced students. Students pursuing a major or minor in Chemistry at UIS have the option of research in astronomy as part of their degree. For more information on the grant, contact Blake Wood, UIS Campus Relations at 217/206-6716 or email bwood8@uis.edu.